EVENING NEWS – Stay informed with up to the minute News, Weather and Sports. CHCH is proud to be the news leader for Hamilton and the surrounding Halton and Niagara regions. 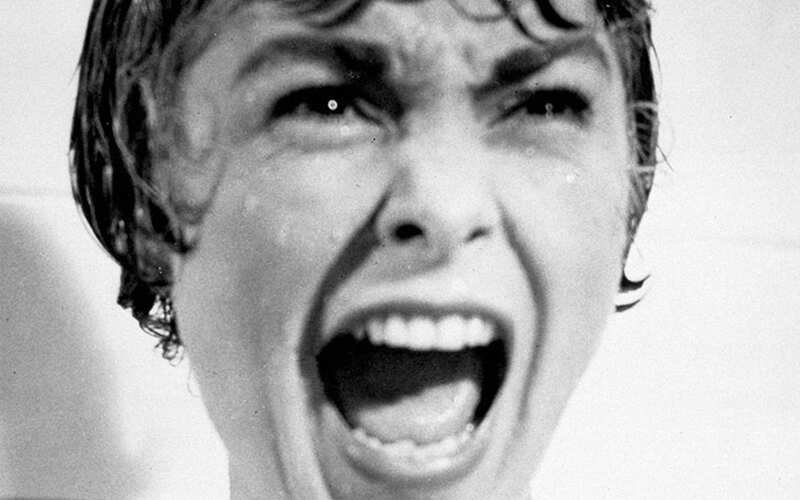 Catch Psycho and other classic thrillers on Silver Screen Classics. Faces you remember. Films you can’t forget. Teen comedies and cult classics abound on REWIND. Movies worth watching. Again. 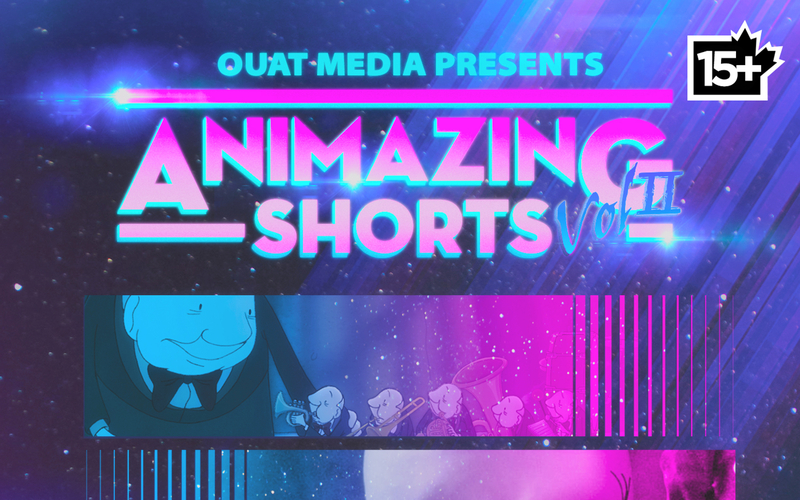 Specializing in the worldwide distribution of international short films, including ANIMAZING SHORTS Vol. 2 – an exhilarating new collection of animated shorts for fans of surreal, otherworldly and suspenseful films. Channel Zero is an independent Canadian media company that owns over-the-air channel CHCH-TV and a bouquet of specialty channels including Rewind, Silver Screen Classics, and Halla Bol Kids TV, Canada’s first South Asian HD TV channel. Channel Zero’s digital sales agency Junction Digital offers advertisers marketing solutions on our owned and operated websites, as well as through our trading desk. The film division of Channel Zero features Ouat Media, an Academy Award® winning film sales and distribution company. Channel Zero’s head office is located in Toronto, Ontario. Romen Podzyhun serves as Chairman & Chief Executive Officer of Channel Zero Inc., a company he co-founded in 2000. He is corporate head of news and drama programming for Movieola, Silver Screen Classics, REWIND, CHCH and Ouat Media, overseeing all original program development, production, distribution and scheduling, while also supervising program acquisitions. Mr. Podzyhun is responsible for developing strategic linkages between entertainment and electronic businesses, and furthering the company’s content business worldwide. He oversees the company’s programming platforms in consumer electronics, and expansion efforts outside of Canada. Mr. Podzyhun has successfully led Channel Zero’s continuing innovations in original TV programming and expanded its digital networks from inception into national brands. Prior to joining Channel Zero, Inc., Mr. Podzyhun had a distinguished 20-year career as a senior retail executive in Canada. As a well-respected member of the film community, Mr. Podzyhun applies his extensive knowledge of film by serving on film festival juries and panels world-wide. Cal Millar serves as President & Chief Operating Officer of Channel Zero Inc., a company he co-founded in 2000. Mr. Millar is responsible for all of Channel Zero’s finance and administration functions including investor relations, business operations and development opportunities. Mr. Millar generates all new business development initiatives and strategic investments for both current and nascent networks. He is responsible for overall operations and business practices at Channel Zero, including the creation and implementation of the company’s business plan, budget and marketing portfolio and strategy. Mr. Millar holds a graduate degree in Business Administration from the Schulich School of Business, and brings more than 20 years of diverse business and marketing experience to Channel Zero. Prior to founding the company, he was President of Impact Graffiti - a Toronto-based advertising agency and magazine publisher. Mr. Millar has also served as Vice President, General Manager of Frisco Bay Industries, a NASDAQ listed security firm specializing in developing surveillance security software and ATM machines for the world market. Mr. Millar has served on a number of Not-for-Profit and Hospital boards, including the Board of Trustees for Bloorview Kid’s Rehab and is past Treasurer of Palliative Care Services for York Region. He was active in the Canadian Association of Broadcasters (CAB) and served on both the Specialty and Pay Regulatory Committee and Independent Members Committee. Mr. Millar was also a Member of the YMCA of Hamilton/Burlington/Brantford Board. Chris Fuoco holds the position of Vice-President, Sales and Marketing for Channel Zero, where he is responsible for leading all of the revenue generating aspects for the business. Prior to joining Channel Zero, Mr. Fuoco was Vice President, Distribution and Account Management at Alliance Atlantis and Canwest. At Alliance Atlantis, Chris successfully negotiated multi-year distribution agreements with Canada's cable, satellite and Telco companies and oversaw the development and execution of strategic marketing programs that drove subscription growth on many of Canada's most watched specialty channels. Mr. Fuoco has held Marketing roles with prominent companies including Bell ExpressVu, AT&T Canada, and Procter & Gamble, where he has always been involved in sales, marketing, and new business development. Chris was one of the founding members of the Marketing team that launched Bell ExpressVu satellite television in 1997 and grew it to become Canada's largest digital TV provider, surpassing 1 million subscribers, in less than 5 years. Mr. Fuoco has an HBA from the Richard Ivey School of Business and has attended Executive Leadership programs at Ivey and the Harvard Business School. He lives in Toronto, is an avid kayaking enthusiast, and spends as much time as he can at the rink coaching and playing hockey. 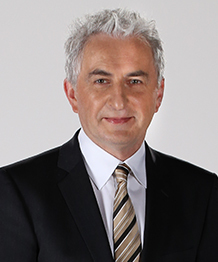 Mike Katrycz joined CHCH as News Director in 2001 and became Channel Zero’s first Vice President of News in 2011. He is responsible for overall editorial direction, staffing and formatting of all news and information programming. 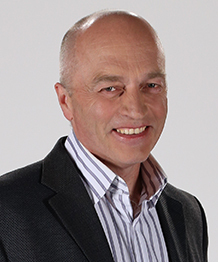 Mike Katrycz spearheaded the planning and implementation of CHCH’s "all news, all day" format which now accounts for more than 80 hours of weekly programming -- more than any other conventional TV station in Canada – and is watched by more than three million viewers every week. While that programming focuses primarily on Hamilton, Halton and Niagara, the CHCH News team also travels the world to deliver live coverage of important national and international stories including the 2014 terror shooting on Parliament Hill which claimed the life of a Hamilton solider, the election of the new pope in Rome, the attack on the Boston Marathon and the earthquake in Haiti. 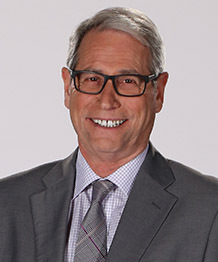 Mike’s credentials were built upon two decades of news reporting at CTV Toronto and 680 News, and producing flagship newscasts for Global Ontario. 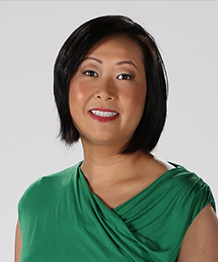 Jennifer Chen is the VP of Programming managing content for Channel Zero’s suite of services including acquisitions and original programming for CHCH, Silver Screen Classics and Rewind. She was formerly the General Manager of Ouat Media, managing one of the largest distribution companies specializing in the acquisition, distribution and sales of short form content internationally. Prior to joining Channel Zero, Jennifer studied cinema at the Sorbonne in Paris before returning to Canada, where she worked in feature film production and produced her own short films. After university, Jennifer spent several years in the account management group at Hewlett Packard; then extended her business acumen to include: sales and festival distribution of films at the CFC (Canadian Film Centre); and, public relations and communications at the Cannes Film Festival and the Toronto International Film Festival. 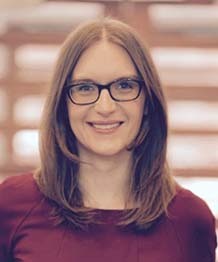 Jennifer has shared her knowledge of the film industry with audiences at film festivals around the world, consulted on distribution strategies for award-winning shorts, and published papers on the subject. She currently serves as the Chair of the Board of the Toronto Reel Asian International Film Festival. Serving as General Sales Manager of Channel Zero Inc, Geoff Thrasher is responsible for revenue generation for CHCH, Silver Screen Classics and Rewind. Mr. Thrasher has been the driving force behind the sales team for CHCH since 2002, and has continued to spearhead this aspect of the organization under the Channel Zero ownership. His leadership in Operations, Resource Management, Revenue Management and the Sales & Marketing area of the business, make him an invaluable part of the management team. Prior to this, Geoff spent several years as the Director, Sales & Marketing at CBC News World. 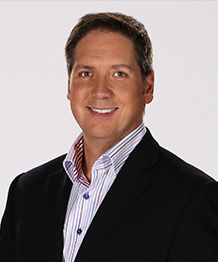 Geoff attended Fanshawe College where he majored in TV and Radio Broadcasting and has served as an advisor and speaker for many professional associations. In addition, Mr. Thrasher is the past President of the Canadian Association of Specialty TV, the past President of the Broadcast Executive Society, and the past board member of the Retail Advertising Council of Canada. Currently, he also sits on the board of the Ontario Association of Broadcasters. Brian Boyle serves as Vice President of Operations at Channel Zero Inc. Mr. Boyle is responsible for supervising Channel Zero’s broadcast operations, IT infrastructure and telecommunications services. 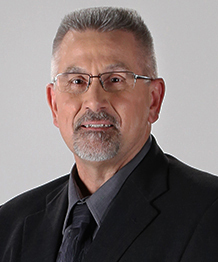 Mr. Boyle is in charge of administering the broadcast operations of Channel Zero’s clients which include but are not limited to: REWIND, Silver Screen Classics, AOV, CHCH as well as our World Media lineup of channels. Brian Boyle managed and supervised the construction and renovation of Channel Zero’s new building which dates back to 1910. Mr. Boyle has been in the broadcast industry for more than 25 years, and has been involved in all aspects of broadcast operation from Master Control to Directing to the designing and building of stations. Mr. Boyle enjoys the challenge of producing quality television in new and cutting edge ways as technology evolves. Mr. Boyle was nominated for a Gemini Award in the Best Audio for Band performance category. 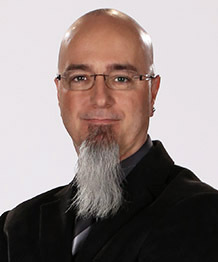 Wayne Rabishaw serves as Director of the Broadcast Operations area of CHCH TV in Hamilton, which was acquired by Channel Zero Inc., on August 30th, 2009. Mr. Rabishaw is in charge of the Operations, IT, and Engineering departments at CHCH, and is also responsible for the running, maintenance and repairs to the Jackson St. facilities and the 8 transmitter sites. Mr. Rabishaw has been with CHCH since 1982 and is currently working on his sixth career with the station; he has been a Program Editor, Videotape Operator, Mobile Production Supervisor, Operations Supervisor, Broadcast Operations Manager and since September 2011, Director of Operations. 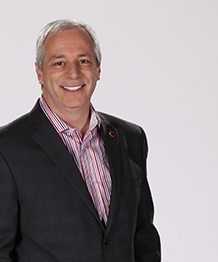 Mr. Rabishaw has enjoyed many highlights in his 32 years in the Broadcasting industry, some of these include being the Technical Director (TD) on the Swimming & Diving crew at the 1994 Commonwealth Games in Victoria B.C. ; Technical Director on the World Figure Skating crew for the 1999 event in Helsinki, Finland and 2000 in Nice, France; TD on the Curling crew at the 2002 Olympics in Salt Lake as well as TD on the Beach Volleyball and Weight lifting crew at the 2003 Pan Am Games in Santo Domingo, Dominican Republic. Mr. Rabishaw is a graduate of the Mohawk College Television Broadcasting program and is currently a member of their advisory board. 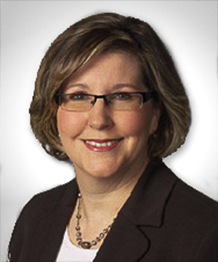 Cathy Mewett serves as Financial Controller at Channel Zero Inc., where she oversees all accounting and administrative functions at Channel Zero Inc.
Ms. Mewett holds an undergraduate degree in Business Administration and is a Certified Management Accountant. Joining Channel Zero Inc. in 2004, Ms. Mewett brought with her over 15 years of diverse business experience including financial management, human resources, strategic business planning and performance management for small to medium sized firms. Bruce Cowley serves as the Director of Human Resources for Channel Zero Inc., where he oversees all the HR functions for the Channel Zero group of companies. As a Certified Human Resources Leader, Mr. Cowley has developed an extensive background in a variety of sectors. With over 25 years of direct management and related leadership experience, Mr. Cowley brings solid business acumen to Channel Zero in the areas of Health & Safety, Employee and Labour Relations, Organizational Learning and Development, Recruitment and Retention, and Policy Development. Inspired by the people and company culture, Mr. Cowley takes great pleasure in his role supporting the high-performing, creative and successful workforce that drives the Channel Zero group of companies. Inga Diev serves as the General Manager of Ouat Media, a Toronto-based international sales and distribution company specializing in short films. To date, Ouat Media has represented eleven Academy Award® nominated short films including three winners. In her role, Inga is responsible for the company’s business operations and oversees all film sales and acquisitions. Prior to joining Ouat Media, Inga spent over a decade working in film production and broadcast programming, most recently, at Sundance Channel Canada. Inga shares her expertise of the film industry by chairing in festival juries and participating in guest panels around the world, including the Toronto International Film Festival and Cannes Film Festival. For the past four years, she has also served on the Board of Canadian Filmmakers’ Distribution Centre, Canada’s foremost non-commercial distributor and resource for independently produced film. Inga is a graduate of York University (BFA in Film Production) and University of Oxford (MSt in Film Aesthetics). Rewind is Canada’s first specialty channel that connects Generation X to the films they grew up watching. Featuring favourites from the 70s, 80s and 90s, Rewind will transport viewers back to the era of the VCR through daily access to some of the greatest films of all time. Rewind is available in Canada on Rogers, Shaw, Telus, Cogeco, MTS, Videotron and other Cable and Telco partners. For more information, please visit watchrewind.com. Silver Screen Classics is the only Canadian TV channel specializing in classic films from the 40’s, 50’s, and 60’s, bringing you legendary movie stars like John Wayne, Elizabeth Taylor, Fred Astaire, Marilyn Monroe, Ginger Rogers, Charlie Chaplin, Sophia Loren, Kirk Douglas, Spencer Tracy, Marlon Brando, and many others. For more information, please visit SilverScreenClassics.com. CHCH.com brings news and information for the Hamilton and Niagara regions to the second screen. 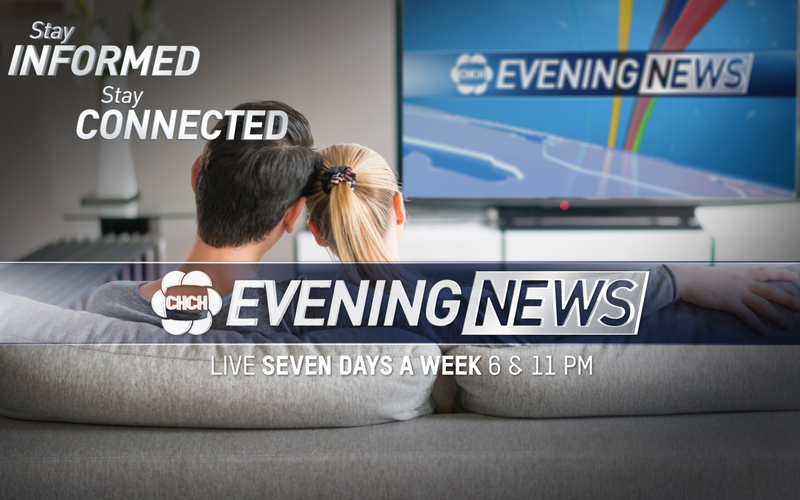 At CHCH.com, visitors can live stream news & daytime programming, as well as select primetime and special event broadcasts. Online visitors can also catch up with past episodes of select CHCH original productions on-demand. Junction Digital, Canada’s newest digital sales agency, puts advertisers and publishers on the right track. Junction Digital contracts with publishers to sell their digital advertising inventory in the Canadian market. The agency delivers premium and programmatic advertising sales services as well as full ad operations services. For more information, please visit junctiondigital.ca. Halla Bol! Kids TV is North America’s first 24-hour South Asian HD edutainment channel for 2 to 10 year-olds. Its multi-genre programming includes drama, action, game shows and cartoons, presented in Hindi, Urdu, Punjabi, and English. Specializing in the worldwide distribution of international short films. For more information about international sales representation, please email us! Channel Zero has several studio rental facilities available for TV, film and commercial production shoots. Featuring Studio A (50’ x 80’) and Studio B (28’ x 31’) in Hamilton and green screen virtual set capabilities in both Hamilton and Toronto, we have the space, equipment and crew available to accommodate your production needs. Channel Zero offers professional, one-stop, award winning creative services from an experienced team of Writer/Producers, Editors and Graphic Artists who can guide you through the entire creative process. For more information about any of the Broadcasting Services we offer, please contact us. (2018-10-17) New Broadcast Facility to Open on Innovation Drive by Spring 2021. (2018-03-15) The new half hour series premieres on CHCH March 22 at 10:30pm. (2018-01-31) CHCH and Motion Content Group today announce a partnership to invest in the creation of original high-quality Canadian programming with international appeal. (2017-12-19) Just in time for the holiday season, Yes TV and CHCH-TV present a joint broadcast of Spirit of Christmas, a TV special filled with holiday music, story and inspiration, airing December 22nd through 26th, 2017. (2017-09-06) Featuring the Canadian Broadcast Premiere of HOUSE OF CARDS and a new season of Golden Globe®-nominated drama EMPIRE. (2017-03-27) Channel Zero is pleased to announce a full and final settlement with Unifor as it relates to the matters of dispute in relation to the December 2015 restructuring of CHCH. (2017-01-19) Internationally versatile journalist to host new daily business news program Bloomberg Markets: Canada, beginning January 23. (2016-10-20) Coverage on CHCH will begin at 1:00 p.m. on Saturday, November 5 with a semifinal matchup, while the Quest for the 109th Yates Cup will conclude live on CHCH, Saturday, November 12 at 1:00 p.m.
(2016-03-16) On Thursday, March 17, Canadian Prime Minister Justin Trudeau will join Bloomberg Editor in Chief John Micklethwait for a televised interview at the company’s New York headquarters. (2016-03-02) Bloomberg TV Canada today announced the launch of its service on Videotron, the largest digital TV provider in Quebec. Its availability on Videotron marks the channel’s continued commitment to providing the widest distribution nationwide and demonstrates the remarkable support the channel has received from Canada's pay TV community. (2016-02-23) Bloomberg TV Canada, operated by Channel Zero, today announced the launch of its latest Canadian program, Bloomberg North, a 30-minute show airing weeknights at 6pm and 9pm ET featuring an all-star anchor ensemble: Amanda Lang, Pat Kiernan and Rudyard Griffiths. (2015-12-11) CHCH-TV and its parent company, Channel Zero, have implemented a restructuring that will allow the channel to remain viable and for it to continue to deliver local news in the Greater Hamilton area. (2015-11-17) Channel Zero, in partnership with Bloomberg, is pleased to announce the launch of Bloomberg TV Canada, the 24/7 Canadian business and financial news television channel. (2015-10-21) Ontario University Athletics (OUA) and Channel Zero are excited to announce that CHCH will be the “official home of OUA,” beginning this fall with the Yates Cup playoffs. (2015-10-15) Bloomberg TV Canada is pleased to announce that Amanda Lang has joined its rapidly growing all-star team of talent as a producer and host of Bloomberg North. (2015-10-13) Bloomberg TV Canada, the soon-to-be-launched 24/7 Canadian business and financial news television channel operated by Channel Zero, today announced its official launch will take place on November 16, 2015, and the first of several talent appointments, Pamela Ritchie has joined as Anchor of The Daily Brief. (2015-09-30) SEVEN24 Films announced today that independent over-the-air broadcaster CHCH in Ontario has acquired Canadian broadcast rights to Wynonna Earp, the live action television series currently in production in Calgary. The 13-episode one-hour series is based on the IDW Publishing comic created by Beau Smith. (2015-09-28) Channel Zero is pleased to announce that CHCH will be the only over-the-air broadcaster of The Munk Federal Election Debate on Canada’s Foreign Policy, tonight at 7pm ET. This is Canada’s first-ever federal election debate devoted to foreign policy issues and will take place at Roy Thomson Hall in Toronto. (2015-09-16) Channel Zero is pleased to announce that CHCH will be the only over-the-air broadcaster of the 2015 LEADERS DEBATE in Ontario. 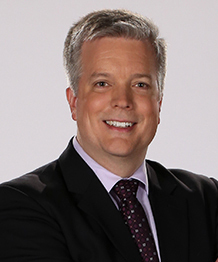 The two-hour program will begin with a pre-show and wrap with analysis from the CHCH newsroom, hosted by CHCH evening news anchor Nick Dixon. (2014-12-08) Channel Zero has teamed up with Canadian companies Rosetta Media and Buffalo Gal Pictures to produce the upcoming 22-episode action-adventure detective series set to premiere in Canada in the New Year, exclusively on CHCH. (2014-07-30) Halla Bol! Kids TV, part of Channel Zero World Media, will become the first channel in the Hindi-language kids category on DISH Network this summer. CHCH CELEBRATES ITS 60TH BIRTHDAY! (2014-05-29) CHCH Announces CH-CHing! - Canada’s First TV Viewer Loyalty Program. (2014-04-07) Channel Zero’s Ouat Media Inc. is proud to announce the upcoming release of UNCLAIMED (dir. Michael Jorgensen), a unique and compelling documentary about two men whose lives intersect through the burdens of war. OUAT MEDIA WINS OSCAR AND CESAR AWARDS®! (2014-03-03) Channel Zero’s Ouat Media Inc. is proud to announce JUST BEFORE LOSING EVERYTHING (AVANT QUE DE TOUT PERDRE) (dir. Xavier Legrand) as the 86th Academy Award® winner for Best Live Action Short Film. The film was also the recipient of the César Award® (the equivalent of the Oscar for France) for Best Short Film. (2014-02-18) Today Channel Zero revealed the hosts of CHCH’s new Tiny Talent Time – one of the longest running and most-loved family shows in Canadian television history. (2014-02-14) CHCH and Cogeco Cable Canada first to offer Television Advertising by geolocation in Canada. (2014-01-23) North America’s 1st South Asian Kids TV Channel Launches on Bell Fibe TV. Free Preview now through February 20. (2014-01-07) Channel Zero announced today that two-time Olympian and World Champion Canadian Hurdler Perdita Felicien has joined the CHCH News Team. IT’S BACK! CHCH NOW CASTING FOR TINY TALENT TIME. (2013-12-30) Parents and kids are invited to join in the celebration of CHCH’s 60th Anniversary with the return of the iconic Tiny Talent Time. An Ontario-wide casting call to children under 12 years old begins today and runs until November 30th through online video submissions at www.chch.com/tinytalenttime. (2013-12-30) CHCH TV is bringing back the iconic Tiny Talent Time - one of the longest running and most-loved family shows in Canadian history as part of its 60th Anniversary celebrations. Sponsorship Opportunities Now Available. (2013-12-30) At no extra charge, effective immediately Source Cable subscribers have access to a variety of CHCH original programs, with leading primetime dramas being added to CHCH’s On Demand offering imminently. Our employees are passionate about what they do. With a fair degree of autonomy and independence, they work in a casual, creative and entrepreneurial environment. They are innovators ready to take on new challenges. If you like to work in a collaborative, fast paced, always changing environment where creativity thrives, Channel Zero may have a career opportunity for you. Thanks for considering Channel Zero and be sure to follow us on LinkedIn to receive updates about our current and future opportunities. Channel Zero is an equal opportunity employer dedicated to diversity in its workforce. CHCH has a casual position available for the Street Team for organized, self-motivated and enthusiastic individuals. Reporting to the Marketing Coordinator, the successful candidates will be responsible for representing the station at events, special promotions and live on-location broadcasts, interacting with clients and the general public to create positive and lasting impressions. Hours will be weeknights and weekends with the possibility of daytime work as well. The position is based in Hamilton but will involve travel throughout the surrounding region including Niagara Falls, St Catharines, Grimsby, Stoney Creek, Hamilton, Burlington, and Oakville. CHCH has a casual position available for the Street Team for organized, self-motivated and enthusiastic individuals. Reporting to the Marketing Coordinator, the successful candidates will be responsible for representing the station at events, special promotions and live on-location broadcasts, interacting with clients and the general public to create positive and lasting impressions. Hours will be weeknights and weekends with the possibility of daytime work as well. The position is based in Hamilton but will involve travel throughout the surrounding region including Niagara Falls, St Catharines, Grimsby, Stoney Creek, Hamilton, Burlington, and Oakville. Channel Zero Inc. is a member of the Channel Zero group of companies and along with it s subsidiaries, affiliates, and related companies is an equal opportunity employer dedicated to diversity in its workforce. We thank all applicants for their interest; however, only selected candidates will be contacted. No telephone calls or agencies please. Channel Zero Inc. (CHZ) has a career opportunity for a part-time Master Control Operator at our Toronto office in The Junction (Keele & Dundas). All opportunities are screened to ensure they provide real work experience in a safe learning environment free from discrimination and harassment, following safe practices and supervised learning experiences. A Ministry of Education Work Education Agreement form must be completed and signed by all parties prior to student placement. As students are not employed by Channel Zero, this form is required to ensure the students’ coverage under the Workplace Safety and Insurance Act. Students do not receive hourly wages or a salary for their placement component hours. However, students involved in identified field placements may receive an honorarium, expense and/or transportation allowance. Other approved internship programs will be considered on a case-by-case basis. However, individuals looking for work experience outside of recognized school co-op and internship programs should apply to our paid part-time and/or contract opportunities posted on our careers page.